FlipFlop is a product developed by Luzius Schneider. We know of versions 3.1, 1.0. Version 3.1.1 is available for free download at our site. FlipFlop installation file has a size of 1,077,042 bytes. 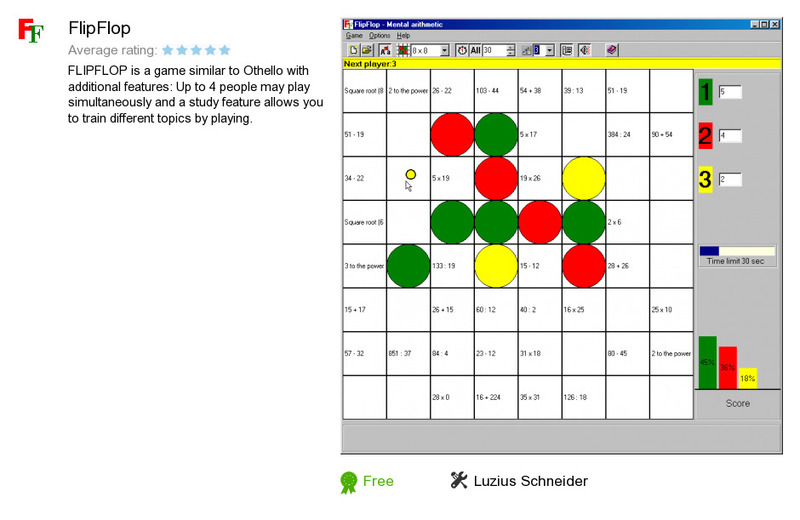 Luzius Schneider also publishes QuizPro and CalculPro.